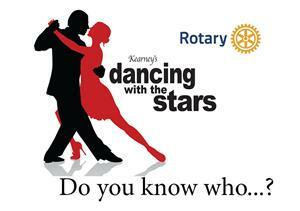 Rotarians, it's time to commit to your seats for Kearney's Dancing with the Stars event. Tables are filling up fast and there are few left, especially at the $100 per seat level. Be ready to choose a table and bring your checkbook on Jan. 7 meeting. Kearney Noon and Dawn Rotary celebrated their 100th year at a special luncheon on March 12, emceed by Steve England. Kearney Rotary Clubs – celebrating their 100th year in Kearney – have a new option for those who have a little more time in the evening. A Kearney Rotary After Hours club is in its creation phase. Planning to meet every second and fourth Monday evenings at 6 p.m., the club will focus on fellowship and networking, and the Rotary ideal of “Service Above Self.” The first meeting is Monday, March 12 at Cunninghams upper level, and all are welcome. Early in 1918 several Kearney men gathered to join an international movement taking hold – a new service club started by Chicago attorney Paul Harris called Rotary. Named after the group’s “rotating” meetings among offices of its members, the grassroots service club began in February 1905 so professionals with diverse backgrounds could exchange ideas, form meaningful lifelong friendships, and give back to their communities. Today, Rotary links 1.2 million members to form an organization of international scope, with a foundation that has invested $3 billion in life-changing, sustainable projects. Kearney’s Rotary legacy will be celebrated at a centennial luncheon at noon March 12 at Ramada in Kearney. All are welcome to attend. Lunch price is $20 at the door – reservations to Tammy Jackson at 308-236-4010 or tjackson@kearneyramada.com. Program will be Rotarian Don Barlow of Belleville, Illinois, founding member of “Belize Children’s Program” that has been active over 40 years. In the very geologic center of Italy lies its only landlocked state — Umbria. The neighboring states of Tuscany and Lazio harbor Florence and Rome, respectively. Within Umbria itself are the delightful, and fun to explore hill towns of Perugia, Orvieto, Spoleto, Panicale, Castiglione Del Lago and Assisi. Visitors will delight in their hill-town encounters with master potters, street chefs, and accomplished local musicians. In Assisi, if we’re lucky, we may even encounter a reincarnated St. Francis. In the valleys below the hill towns we’ll find traces of the long ago passage of Roman Legions and their number one nemesis — Hannibal Barca. His story is highlighted with a visit to one of his most celebrated battlefields on the north shore of Italy’s largest inland lake — Lake Tracimeno. 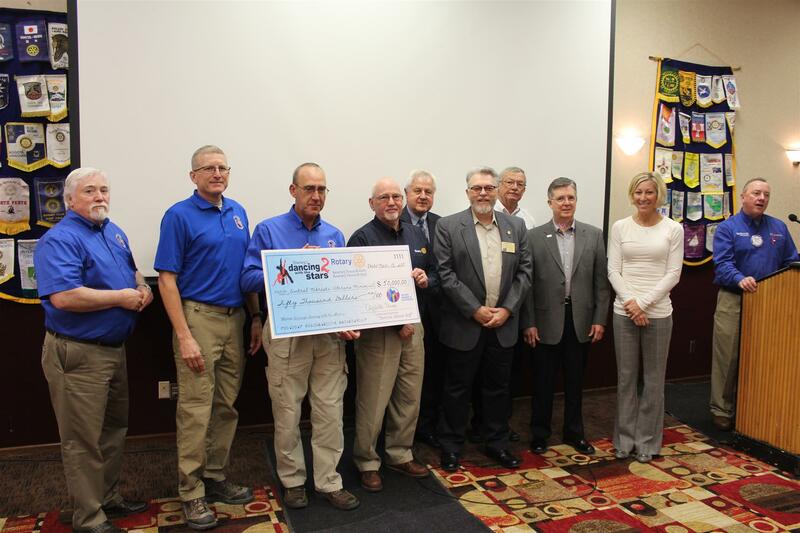 Kearney, Neb., Nov. 13, 2017 – Kearney’s Rotary clubs today presented $50,000 to planners for the Central Nebraska Veterans Memorial. The donation was from the net proceeds from the Oct. 21, 2017 Kearney’s Dancing with the Stars 2 event. “The proceeds far exceeded our expectations, and demonstrate the support of this community for our veterans and the veterans memorial, and the success of this signature event for Rotary,” said Bret King, president of Kearney Noon Rotary. 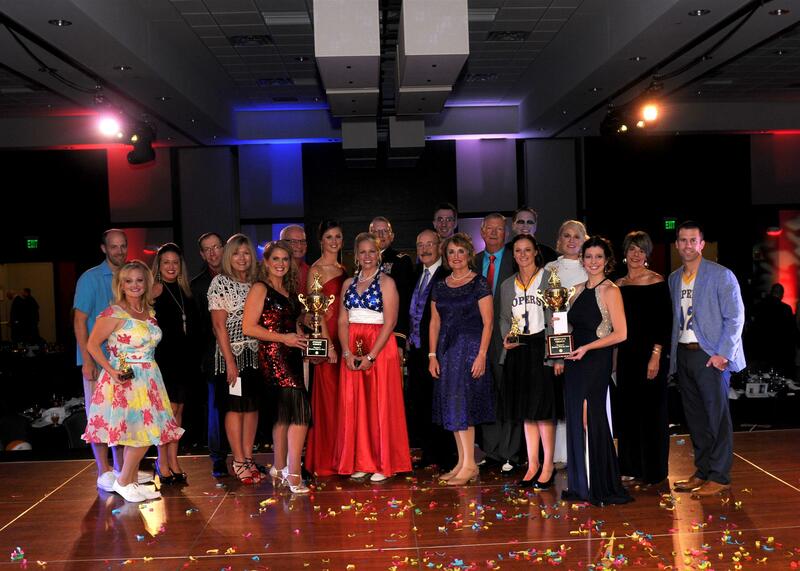 Just under 700 people attended the second dancing event, at which volunteer dancers Jon Watts and Carrie Eighmey won the People’s Choice award for generating the most fund-raised votes, and Mark Sutko and Marsha Wilkerson won the Judge’s Choice trophy for the best dance performance. 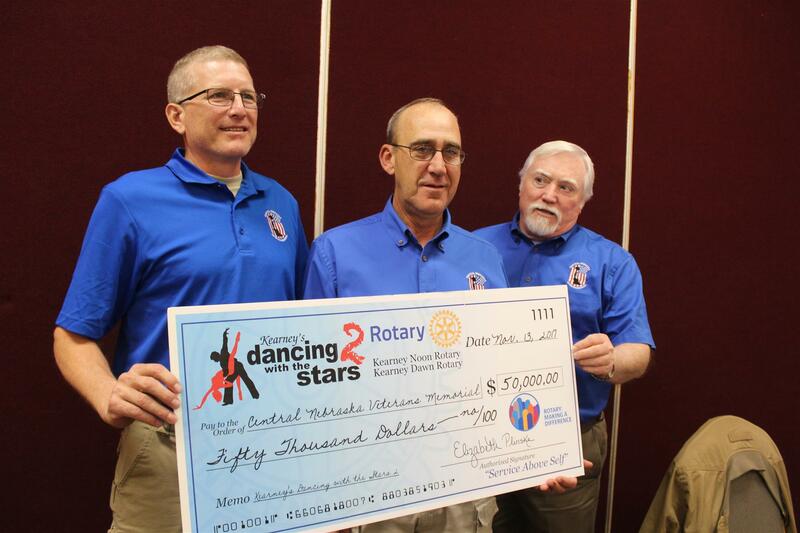 Kearney’s Noon Rotary and Dawn Rotary clubs will use another $15,000 of the event proceeds to support local and international Rotary projects, and to begin planning Kearney’s Dancing with the Stars 3. 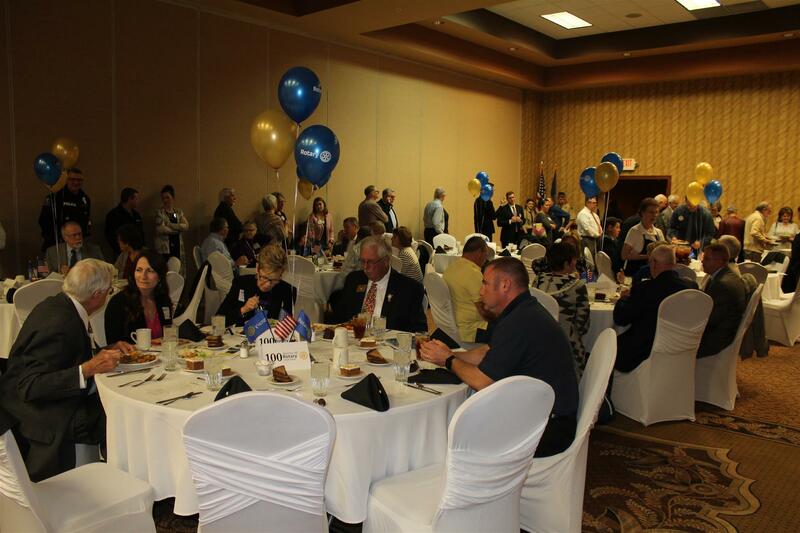 Cornerstone sponsors for the event were Platte Valley Auto – Kearney-Lexington, and Younes Hospitality. 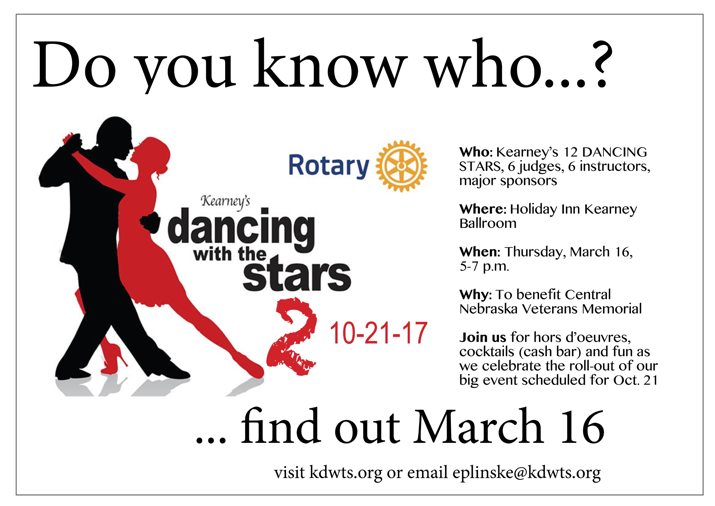 The date for Kearney’s Dancing with the Stars is now set for March 23, 2019. Dance coaches for the teams were instructors Kirby and Ronda Andersen of You’ll be Dancin’; Noelle Bohaty, professor of dance at University of Nebraska at Kearney; Dillon Nelson of Kearney Family YMCA; Krisa Smith and Ashley Nanfito of Kearney School of Dance; and Kathy Fuehrer at Dance Works. Celebrity judges for the event were Tom and Mary Henning, Todd and Lois Thalken, and 2016 winners of Kearney’s Dancing with the Stars Judge’s Choice: Marge Lauer and Jason Sharp. About Rotary: Rotary International is a 106-year-old international service club with 1.2 million members. It focuses on creating lasting change in communities and around the world, starting with members and clubs at the local level. 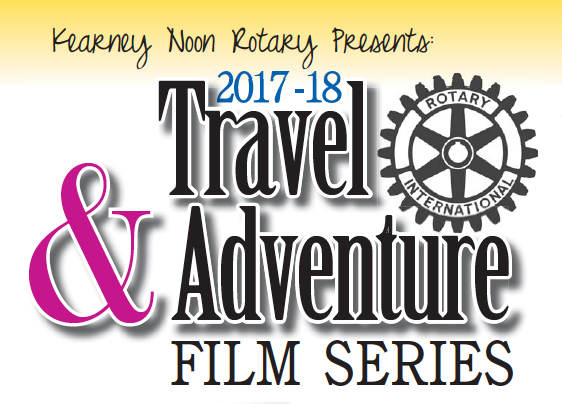 Kearney has two Rotary clubs: Dawn, meeting at 7 a.m. Wednesdays at Alley Rose; and Noon, meeting at noon on Mondays at Ramada Inn, both in Kearney. Rotary fund-raising and support focuses on clean water, eradicating diseases like polio, supporting education and growing local communities. Jeff Warren concludes two years as Club President. 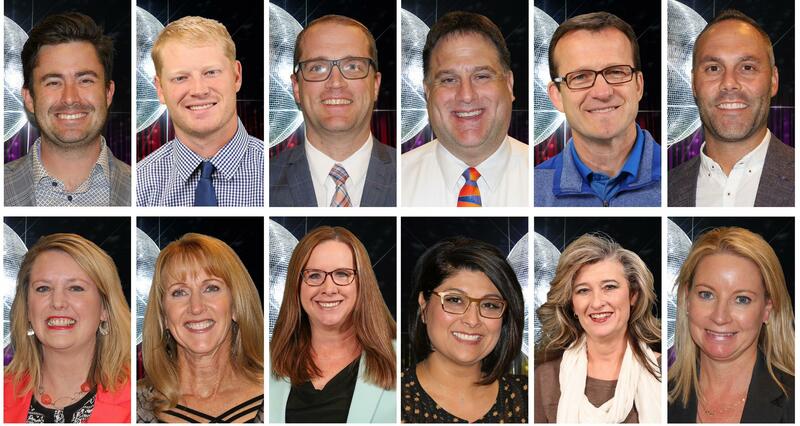 Dancing With the Stars Contestants to be Revealed! On Thursday, September 15th, the Kearney Noon Rotary Club, Kearney Dawn Rotary Club, and Kearney On The Bricks Rotary Club co-sponsored a family night at the Kearney Children's Museum. On August 8th, Kearney Police Department Chief Dan Lynch was the day's program. At the August 1st meeting, Rotarian Sharon Hoffman introduced the GSE team from District 3030 in India, for the day’s program. At the July 11th meeting, President-Elect Michael Graves introduced the new District Governor Ron Bazata who was making his official club visitation. The June 27th meeting, President Sharon Hoffman, introduced the day’s program – Mark Harris, Associate Director of the State Museum at the University of Nebraska in Lincoln. The June 20th meeting was Club Day. During the meeting President Sharon Hoffman honored several members for their service to the club during the year. At the June 13th meeting, Rotarian Bob Scriven gave a business brief and introduced Sylvana Airan, Assistant Director – Business Contracts/Student Services Housing Contracts and Student Accounts at UNL, for the day’s program. 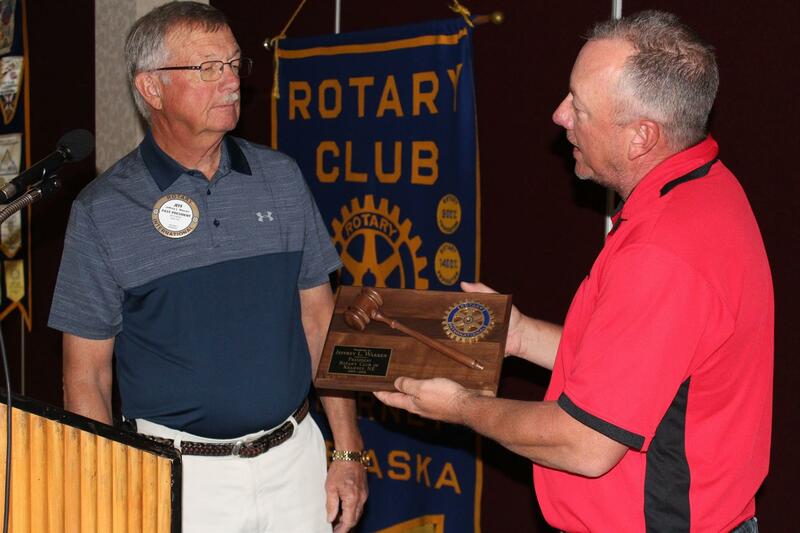 At the June 6th meeting, Rotarian Dave Malone gave a business brief and introduced John Munn, Director of the Nebraska Department of Banking and Finance (an old high school classmate of Dave’s), for the day’s program. At the May 23rd meeting, Rotarian Carol Renner gave a business brief and introduced Geraldine Sturtz, Director of AmeriCorps Projects at the UNK Office of Service-Learning, for the day’s program. At the May 9th meeting, Rotarian Julie Spiers gave a business brief and introduced her brother-in-law Tim Spiers, Well Site Leader and Supervisor on an Off-Shore Drilling Rig for BP, for the day’s program. At the April 25th meeting, Rotarian Stan Clouse gave a business brief and introduced U.S. Senator Ben Nelson for the day’s program. At the April 4th meeting, Rotarian Hannah Stone gave a business brief and introduced Mike McCoy, General Manager for the Nebraska Danger football team in Grand Island, for the day’s program. A April Fools’ Day Rotary Social was held April 1, 2011, at the Kearney Ramada Inn Piano Bar. Those attending were Ron and Mindy Bazata, Frank and Shirley Sibert, Joe Springer Sharon Hoffman, Lisa Reese-Parrish, Tammy Jackson, Jim Cudaback, Dave Malone, Doug Deterding, Richard Kauders, Alexis McNeal. Thanks to Cynthia Houlden and Lisa Reese-Parrish who organized the event. From the dates appearing on the pictures below, you will probably notice that the photographer either had too many drinks or may be a little technology challenged with setting the date on the camera. At the March 28th meeting, Rotarian Jim Cudaback pulled some strings and was able to get Nebraska Governor Dave Heineman for the day’s program. At the March 14th meeting, our speaker was Rotarian Dallas Kenny, UNK Director of International Education. At the March 7th meeting, we were honored to have a speaker from the UNK World Affairs Conference, Jesus Rodriguez-Espinoza, present the day’s program. At the February 28th meeting, Jeff Hinrichs gave a business brief and introduced the days program, Jon Bokenkamp and Ben Rowe, President and Vice-President, respectively, of the World Theatre Foundation Board of Directors, to inform the club of their “Save the World” project. At the February 14th meeting, Bonnie Payne, Outreach Coordinator for the Office of International Education at UNK and exchange students Yongmo Koo (South Korea) and Maiko Oku (Japan) informed the club about the International Friendship Program at UNK to help us celebrate World Understanding Month in Rotary. At the February 7th meeting, Norvin Pearce gave a business brief and introduced the days program, Ray Ward, President of Ward Laboratories in Kearney. At the January 31st meeting, Dave Lenz gave a business brief and introduced the days program. Rotarians Michael Morgan (City Administrator) and Stan Clouse (City Mayor) were joined by City Councilman Bob Lammers to learn about the Club members issues of interest. At the January 24th meeting, Bill Ballou introduced the day's program - Dr. Karen S. Sorenson, DDS. RI President-elect Kalyan Banerjee unveils the 2011-2012 theme for Rotary International at 2011 International Assembly. On January 3rd, Dr. Brito Mutanayagam gave a very interesting program about his trip to Russia and the architecture associated with the Tsars and Tsaristas of Russia. On December 20th, Sharon Hoffman introduced Mary Henning for the days program. On December 13th, Steve Chatelain introduced his nephew, Dirk Chatelain for the days program. At the December 6th meeting, Richard Kauders gave a business brief and introduced Bobby Payne to the club. Bobby is a chaplain working with the Chaplain corps of the City of Kearney Police Department. On November 29th, John McCollister, Executive Director for the Platte Institute for Economic Research informed the club about the activities of the Institute. Audrey Kauders introduced Bobbie Pettit, Manager of Main Street Kearney to the club on November 22nd. On November 15th, Cindy Houlden was presented her Paul Harris Fellowship award from District Foundation Chair, Frank Sibert. On November 15th, Membership Committee Co-Chair Bob Scriven formally inducts Michael Schnieders and Bani Christine into the Kearney Rotary Club. At the November 8th meeting, Judi Sickler introduced Tom Tye II to the club. Who gave a very interesting program on the Yanney Heritage Park. On November 1st, Stan Clouse introduced Ron Asche, President and CEO of the Nebraska Public Power District to a joint meeting of the Kearney Noon Rotary Club and Kearney Sertoma Club. At the October 25th meeting, UNK Head Wrestling Coach Marc Bauer informs the club about the UNK wrestling program. At the October 4th meeting, Tammy Jackson was awarded her Paul Harris Society award from District Governor-Elect Ron Bazata. District Governor for #5630 visited the Kearney Noon Club at its July 26 meeting. 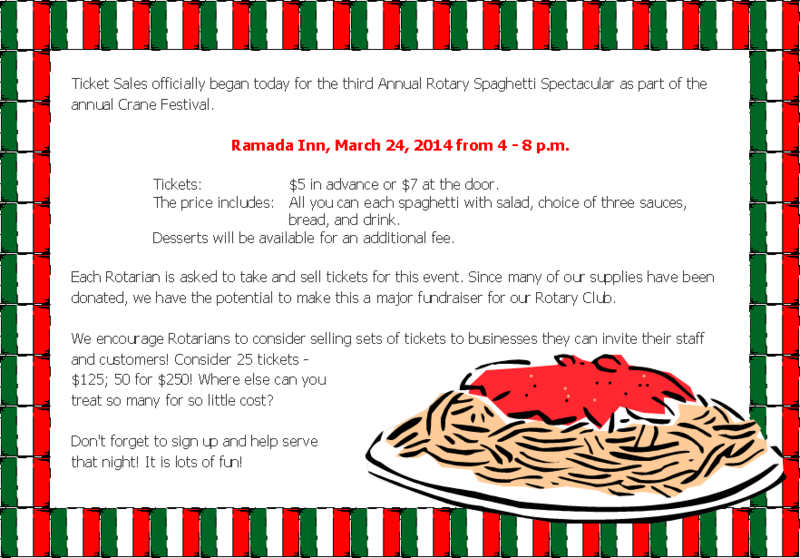 Third Annual Rotary Spaghetti Spectacular March 24! How much do you know about hunger around the world? How much do you know about hunger in our country? How much do you know about hunger in our community? Borrow our club's copy of this new book if you want to learn more about the prevalence of this issue. Kearney, NE-- In recent structure fires in Kearney the Volunteer Fire Department has noticed batteries weren't installed in the smoke detectors. The Kearney Noon Rotary Club held its 8th annual Project Safe Holiday Saturday by replacing or installing smoke detectors and batteries. "It's been an ongoing project every year and I think last year we replaced or put in 50 detectors and 75 batteries and we'll probably do a similar amount this year," said Rotary Club member Larry Hardesty. Sign up sheets were put out through Kearney Public Schools, the Headstart program, and the Peterson Senior Activity Center to focus on homes of the elderly or children. "We know that our home is going to be safe for everyone that comes in because we do a daycare here so now my family is safe plus everyone in the daycare is safe," said Jamie Shahan who received several new smoke detectors. The homes in need of batteries were frequently those of the elderly. "Well I couldn't install it or even replace the battery because I'm not steady enough on my feet to climb a ladder. And many cases people wouldn't get them because they couldn't afford them," said Kathryn Falconer who received three new batteries and one new alarm. 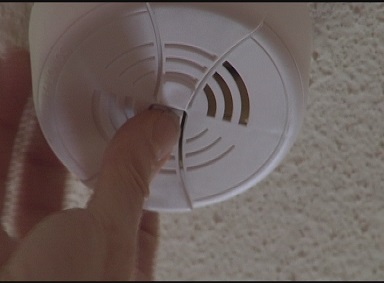 Kearney residents, young and old, recognize how important smoke alarms are, especially with the recent rise in fires where detectors didn't work. Shahan said, "I only had two in my home and now I have seven so it can really do some good in your home as well." "I think you can't calculate how important it is because fires kill, fires maim, fires take up property. I think it would be about the worst thing that could happen to somebody is to have a fire in the home," said Falconer. The Rotary Club said even if people didn't sign up for the service, it reminded them that it was time to change the batteries which is usually every six months. Hardesty said, "I think that it's a reminder, in addition to actually putting in the new batteries and new detectors, but it's just a reminder to folks the importance of it." Dawn Rotary to Sponsor "Through These Gates"
District Governor for #5630 visited the Kearney Noon Rotary for its July 26th Meeting. Join us for our 20th Season of Travel Adventure!